Despite growing up around professional food preparation at his family’s Long Island eatery, 3 Brothers Pizza Café, Jay Astafa never imagined he’d someday don chef’s whites. But after becoming vegan at the age of 15, he discovered his purpose, eventually launching a successful catering company and opening his very own 100% vegan restaurant. His culinary talent caught the eye of The Surf Lodge’s Jayma Cardoso, who brought Astafa, now 23, on to develop vegan recipes for her famed Montauk destination. In addition to creating a pasta dish, a dessert course and a brunch option for their seasonal menu, Astafa developed the following two recipes, which can also be found on The Surf Lodge’s menu. Read on to learn how to make them, plus get his strategies for preparing for and recovering from a workout. What’s your go-to high-carb fuel before a workout? What are a few high-protein foods you use to refuel after a workout? I’m a big fan of grilled marinated tempeh and raw kale topped with tahini dressing. Given that protein is frequently associated with eating meat — and given you’re a purveyor of plant-based foods — what’s the number one thing you’d like omnivorous readers to know about this controversial nutrient? One misconception is that protein is found only in animal ingredients: Almost everything has some amount of protein — beans, tempeh, tofu, seitan, plant-based meat alternatives (such as Beyond Meat) grains like quinoa and even leafy greens! It’s all about eating a variety of foods derived from plants. As long as you’re consuming different vegan foods every day, you’re getting plenty of protein. And, if you’re working out and want to supplement, there are several whey-free protein powders, such as Vega. Needless to say, I don’t worry about protein. You plan to publish a cookbook but haven’t yet. Until yours is available on bookshelves, are there any featuring clean cuisine you can recommend? Isa Does It by Isa Chandra Moskowitzis a great one! Lots of healthy — and easy — recipes. You’ve no doubt dined at a number of plant-based or plant-strong restaurants across the country. Can you share a few favorites? Favorites in NYC include Dirt Candy, By Chloe and Candle 79. In the Miami/Fort Lauderdale area, I like Sublime and Green Bar Kitchen. In LA, my favorite is Crossroads. The Surf Lodge is currently featuring several of your recipes. 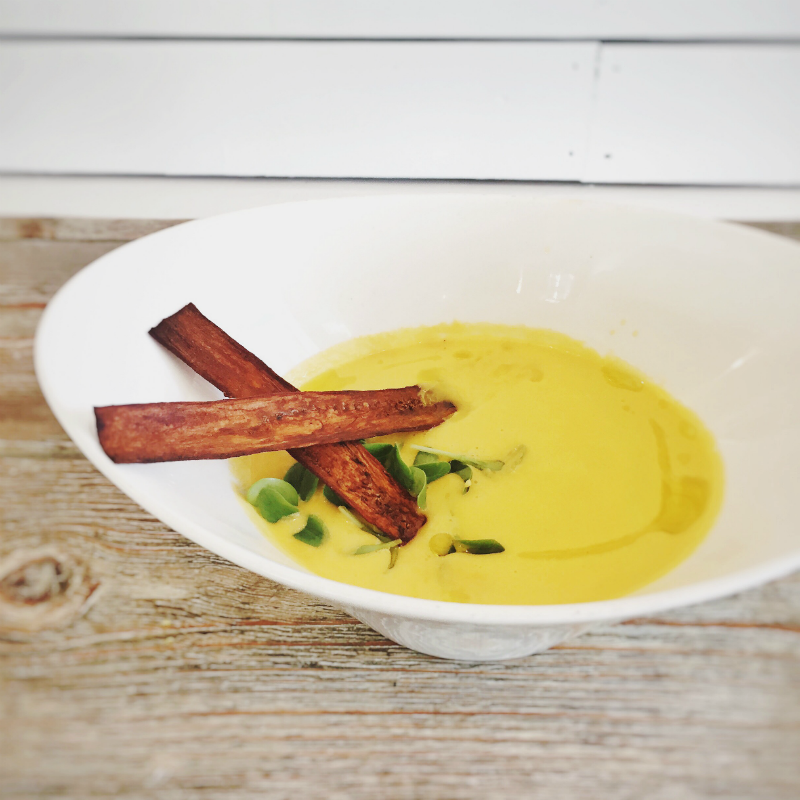 Why do you think The Surf Lodge is so well suited to feature a vegan menu? A lot of The Surf Lodge’s visitors will be vacationing from New York City. Montauk tends to draw more of a health-conscious crowd, so their decision to feature a vegan menu proves a perfect opportunity to capture that savvy market. Here are some of Chef Astafa's favorite plant-based recipes. Bon appetit! 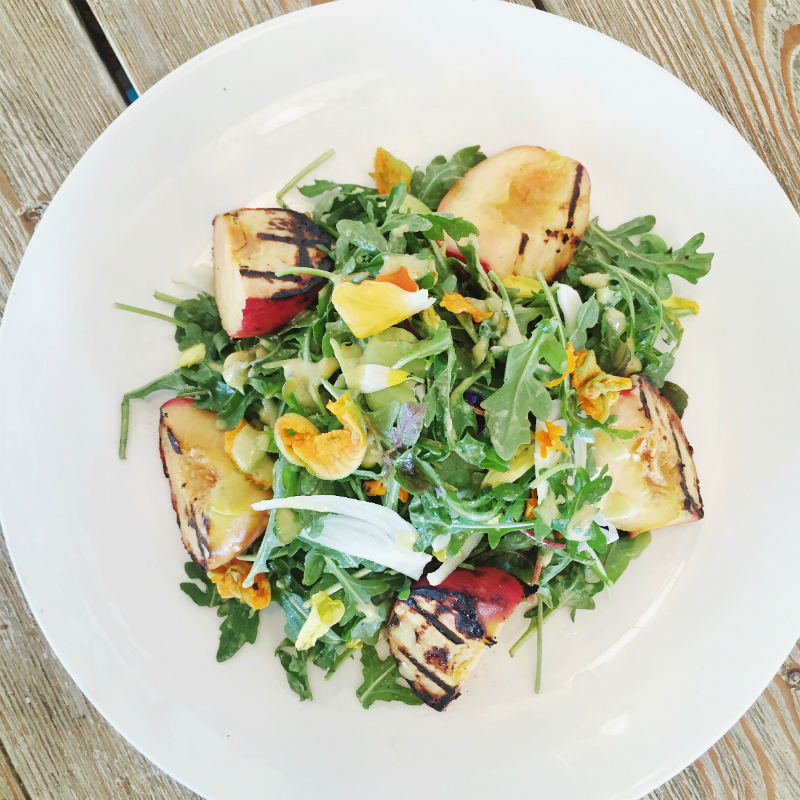 "If you haven’t tried grilled peaches, you’re missing out! This salad features so many flavors and ingredients that I love about summer," says Astafa. 1. Peel fava beans. Heat a pot of water. Once the water is hot, add the fava beans and cook for about 2–3 minutes. Fill a large bowl with cold water and ice. Add the cooked fava beans to the cold water. Skin each fava bean and set aside. 2. Remove the fennel stem. Cut into quarters. Using a mandoline, thinly shave the fennel. 3. Halve the peaches. Drizzle with the extra virgin olive oil. Season with sea salt. 4. Heat a grill pan or grill. Grill the peaches on both sides until slightly charred. Cut each halve in half. 5. In a large bowl, add the arugula and shaved fennel. Add the vinaigrette and mix until coated. Plate the salad. Top with the fava beans, grilled peaches, squash blossoms and edible flowers. Drizzle a couple teaspoons of vinaigrette and enjoy! In a high speed blender combine the chopped peaches, champagne vinegar, extra virgin olive oil, peach puree, dijon mustard, maple syrup, basil and sea salt to taste. "This is my take on the classic cantaloupe and prosciutto combo. 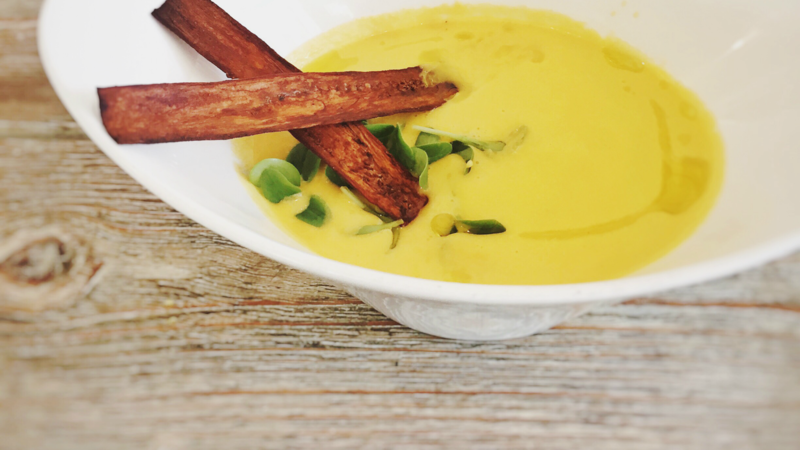 Eggplant bacon pairs so well with this delicious summer soup. The borage is a perfect pairing for the cucumber flavors in the gazpacho," SAYS ASTAFA. 1. In a high-speed blender, combine the cantaloupe, cucumbers and salt. Blend until smooth while drizzling the olive oil. Season to taste with sea salt. 2. Chill for at least 8 hours before serving to allow the flavors to blend and settle. The flavor completely changes once chilled. 3. To serve, fill bowl with gazpacho. Garnish with borage flowers and leaves. Top with eggplant bacon. 1. Using a mandoline, thinly slice the eggplant. 2. Cut the eggplant into strips. 3. Mix marinade ingredients in a large bowl. Add the eggplant strips and let marinate for about 15 minutes. 4. Heat oven to 225 degrees. 5. Line trays with parchment paper. Place eggplant strips on trays. 6. Bake for 50–60 minutes until eggplant is brown and crispy. Nell Alk is a New York-based writer and editor based in New York who’s written for The Wall Street Journal, the New York Daily News, Cosmopolitan, Paper and other publications. Read more of her work HERE and interact with her on Instagram, Facebook and Twitter.